The knock-down, drag-out brawl raged for at least 15 minutes, leaving the Red Boar Tavern in shambles, according to a bizarre news item in the May 31 edition of the People’s Daily Journal. Give the gift of scary fun this Halloween! This author’s new horror novel Hour of the Beast has been hailed by critics as “gripping,” “unique” and “very difficult to put down.” And the eBook is a measly $5. 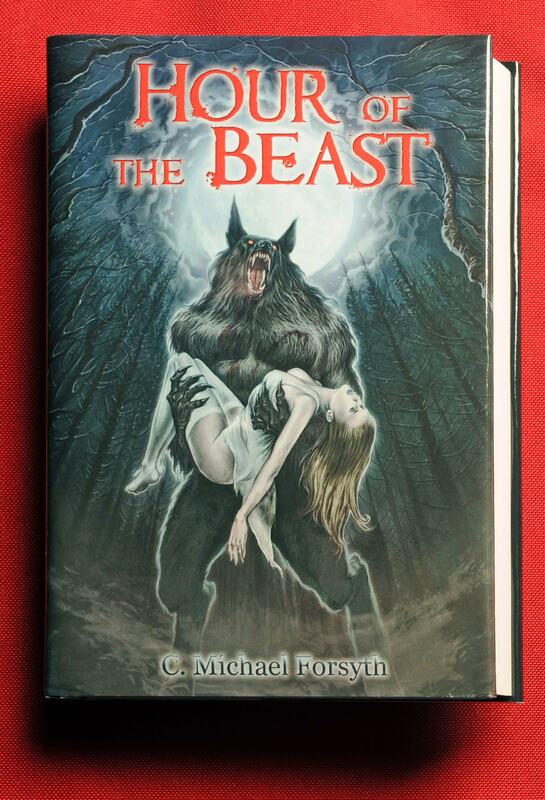 To order Hour of the Beast or hear Chapter One free, click HERE. 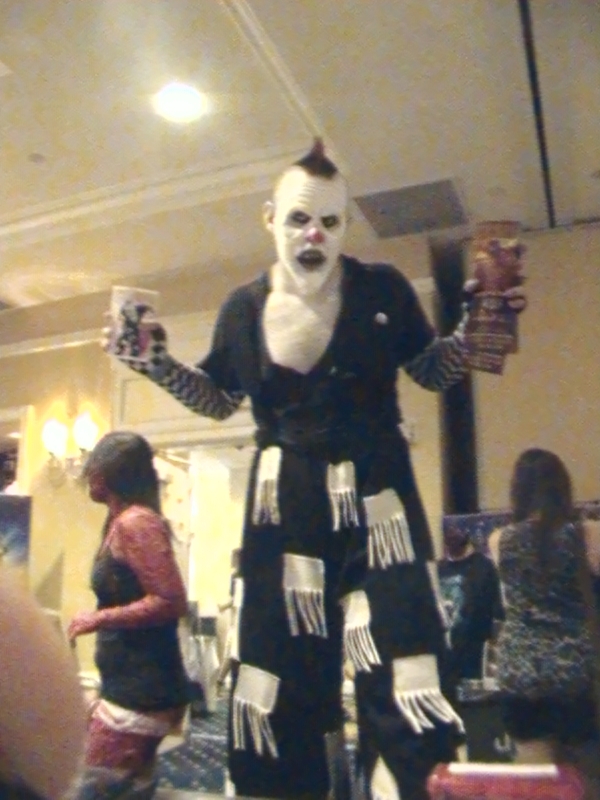 NO LAUGHING MATTER: Convention goers like this giant, sinister clown took their dressing up very seriously. One highlight came during the costume contest when a guy decked out as Shaun from “Shaun of the Dead” brandished a cricket bat like the one used to bash zombies in the movie (and autographed by director John Waters, a convention speaker). 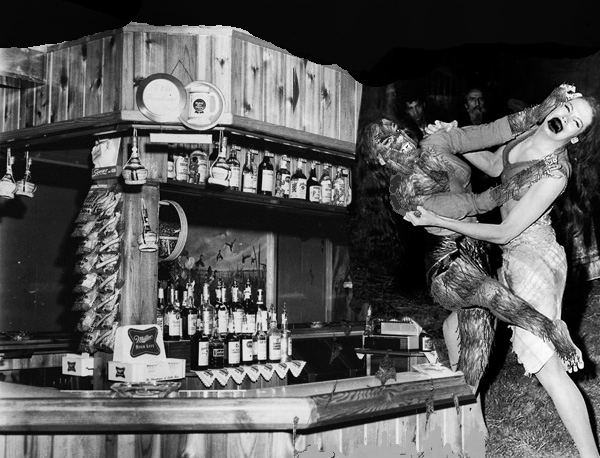 He used it to whack the booty of obliging MC Dee Wallace. 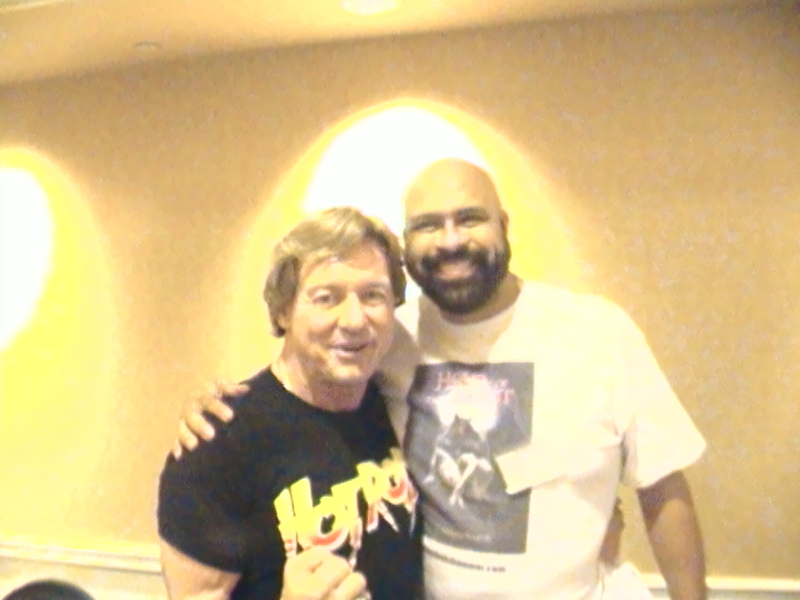 A COUPLE OF MANLY MEN 2: I was surprised to find I have a couple of inches on legendary tough guy Rowdy Roddy Piper. 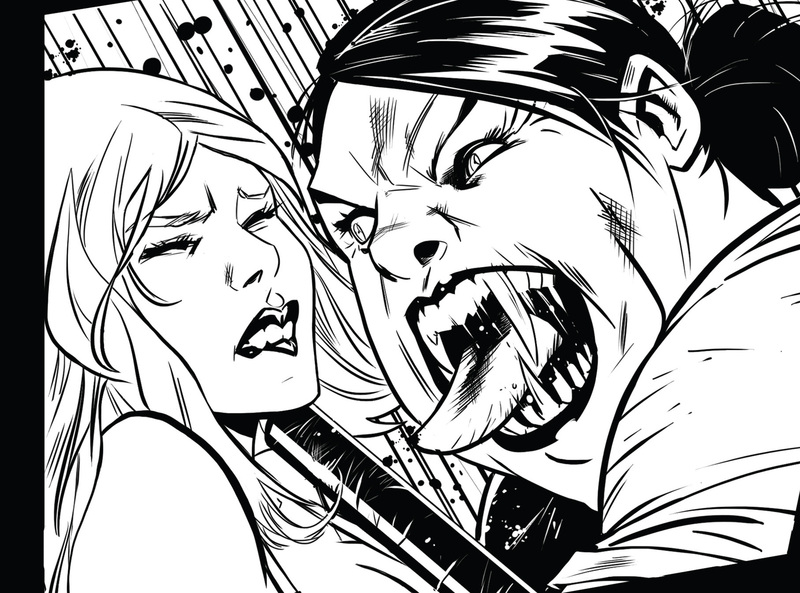 DROP-DEAD GORGEOUS:Turns out that many female horror fans -- like this Hour of the Beast reader -- are incredibly hot! 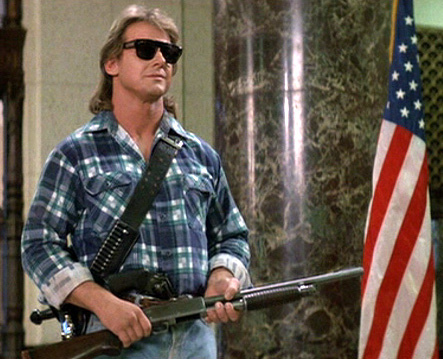 Rowdy Roddy Piper, what ever happened to him? I used to love watching his talk smack in the ring. Quick question, are you heading to Comicon next year?